This week's Big Apple Books is slightly different, as I'm highlighting a kid's book club with NYC roots. 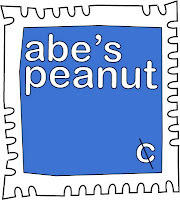 Based in Brooklyn, Abe's Peanut was created by sisters Anna and Tess Knoebel in June of last year, and the premise is so fun and clever I had to share it with all of you. As a child, do you remember how excited you got when you received a card in the mailbox with YOUR name on it?! I definitely do. When you sign up for Abe's Peanut, your kiddo receives an illustrated story on a postcard. The story is broken up into 4 parts and mailed out once a week. Not only does it get your child excited about reading again, but it reminds them that there's more to the mailbox than bills and straight-to-the-recycle-bin junk mail. Who knew snail mail could be so much fun? In an era of technology overload (I'll be the first person to admit I've succumbed to it), it's nice to discover an old-fashioned way of getting your kids to appreciate reading again... and the good ol' US Postal Service. 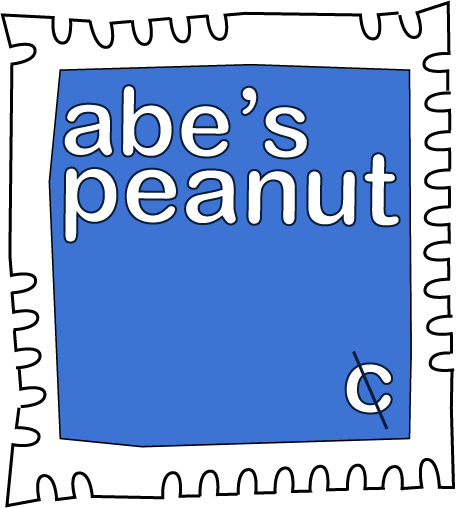 Abe's Peanut stories are geared towards ages 4-8, though they apparently have subscribers of all age ranges!